On the Quantitative Finance master’s you will learn technical and practical skills useful in pursuing a career in front or middle office positions. To successfully complete the Quantitative Finance course, you must have a good understanding of mathematics. You should have a general interest in mathematics and statistics, including the more technical and mathematical techniques used in financial markets; but you don’t need to have a background in finance. You’ll study core modules focusing on asset pricing, risk management and introductions to key financial securities such as equities, fixed income securities and derivatives. From there you’ll progress to specialist learning in econometrics, and cover a large amount of stochastics and numerical methods. You’ll cover basic and advanced topics in econometrics including ARCH and GARCH models, co-integration and dealing with high frequency data. You will also have the opportunity to work with a number of different estimation techniques, including OLS, Maximum Likelihood and GMM. You’ll work extensively with the Matlab programming language in the core modules alongside other languages such as VBA, Python or C as optional modules. You’ll choose five from around 40 optional modules in your final term. You can also choose to complete a traditional dissertation, which counts for four optional modules, or a shorter ‘applied research project’, which is the equivalent of two optional modules. You will have gained a good understanding of the technical aspects used in financial markets, starting from the financial theory, looking at different financial instruments and showing various applications of the theoretical concepts. You will have three different possibilities to complete your degree in the third term, including writing a dissertation or an applied project. You can also opt to gain all the credits through taught electives. Popular electives include Behavioural Finance, Trading and Hedging in the FOREX Market, Technical Analysis, Hedge Funds or Python. That includes portfolio theory, the CAPM, factor models and measuring risk and return. Those concepts are widely used by financial market participants. At the end of this module the various building blocks are being put together in the discussion of performance and persistence of performance of mutual funds. Econometrics is an essential tool for the empirical analyses of financial markets as well as the development of quantitative strategies for forecasting, pricing and risk management analyses in financial markets. A good understanding of the developments in financial econometrics is of great relevance to the analysis of financial markets, building both technical skills and the ability to carry out advanced empirical research. This module introduces basic concepts used in numerical methods as well as graphical techniques often used to visualise relevant data. The module also aims to introduce the concepts used in derviatives pricing and present Monte Carlo simulation methods in finance. Additionally, this module aims to transmit an appreciation of performance criteria, their formulation and application in this area. Option 2: Students can opt to write a 10,000 word Business Research Project (40 credits) and take one specialist elective module (1 x 10 credits). See the MSc in Quantitative Finance programme specification. Assessment of modules on the MSc in Quantitative Finance programme, in most cases, is by means of coursework and unseen examination. The teaching staff on the MSc in Quantitative Finance have many years of practical experience working in the financial services sector and are also active researchers in their fields. 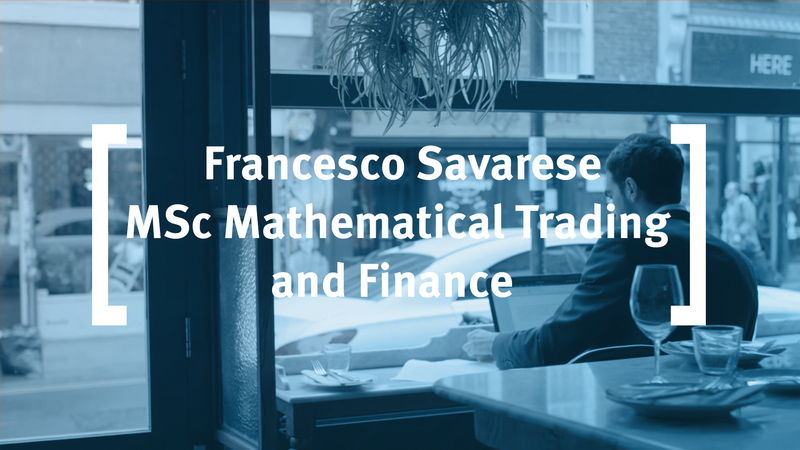 This knowledge and experience inform the highly interactive lectures that make up the MSc in Quantitative Finance. You may be requested to provide a syllabus of specific modules undertaken during your studies as part of the assessment process. This is not required at the point of submitting an application and will be requested directly by the admissions team only if required as part of the assessment. The job opportunities for students from the three quants masters programmes are very similar. similar. They usually find employment with large investment banks, but also some smaller boutique finance firms, hedge funds or other specialist companies. 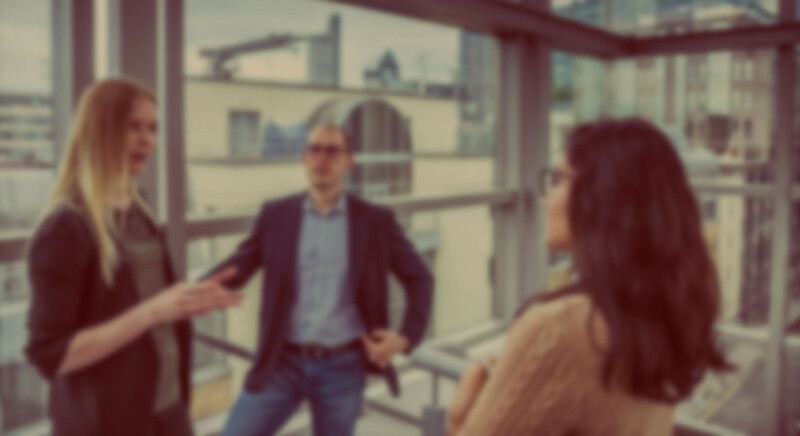 Working as a general or technical analysts, risk management position, working on fixed income security desks and the asset management industry including hedge funds are typical jobs which students from the MSc Quantitative Finance go into. Students from the MSc Quantitative Finance will have covered more topics relating to forecasting and regression analysis. The remaining industries are made up of Financial Services - Hedge Funds/ Other Investments (13%), Financial Services - Other (13%), Financial Services -Rating Agency (13%), Property / Real Estate (12%).